When writing a novel, every author has their own unique writing process. Some may write an entire novel from beginning to end; others might plot out the scenes separately and piece them together. 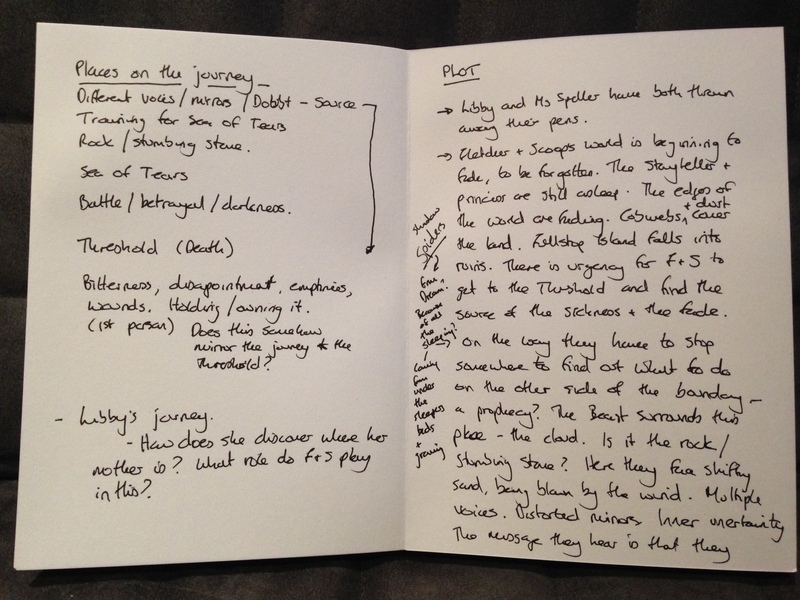 In this post I’m going to explain my writing process and how I plot my novels. In my writing process, I do often tend to start at the beginning and work through. I know this is probably different to a lot of writers, who may start with a section or scene they’re particularly drawn to at that time and not worry about where it comes in the plot. But I find it helpful to work through in the right order. Although, having said that, once I start writing, the order rarely stays exactly as planned. I’ve found that the start, in particular, often changes. I start with one chapter that I think is the start but then end up moving it to the middle and finding a different point to jump into the story. So, yes, I start at the start, but then often I move that to a different place and find an alternative starting point. I tend to have a rough plan, some anchor points, and then make a start with the writing. Often I only work out the shape the plot needs to take through the process of writing itself. I can have a plot idea and think it’s really good, but as I start to write it, I realise it doesn’t work or that it needs an extra layer, twist or element of excitement. When I start to write, I also realise that there are questions I haven’t answered or places where the plot is only half-formed, so you then go through a process of plotting – writing – re-plotting – writing etc. That’s not to say don’t plot, but plots are only good as far as they go. I think you need to be willing to adapt and change. Other writers might disagree, though – you have to find your own method and way of writing. The first thing to do is to ask yourself a lot of questions. Who are the characters? Where do they live? What is the world like? What time do they live in? If you’re writing a sequel, you need to recap what happened previously. Where did the last book finish and when will the next one pick up? Will minor characters in the previous story have a more major role in this one? Once you’ve answered all of the questions you can think of, you can start creating a skeleton of your story. Then you can write out a brief overview. Focus on the main plot points and don’t get distracted by too many minor details. Go chapter by chapter, section by section. 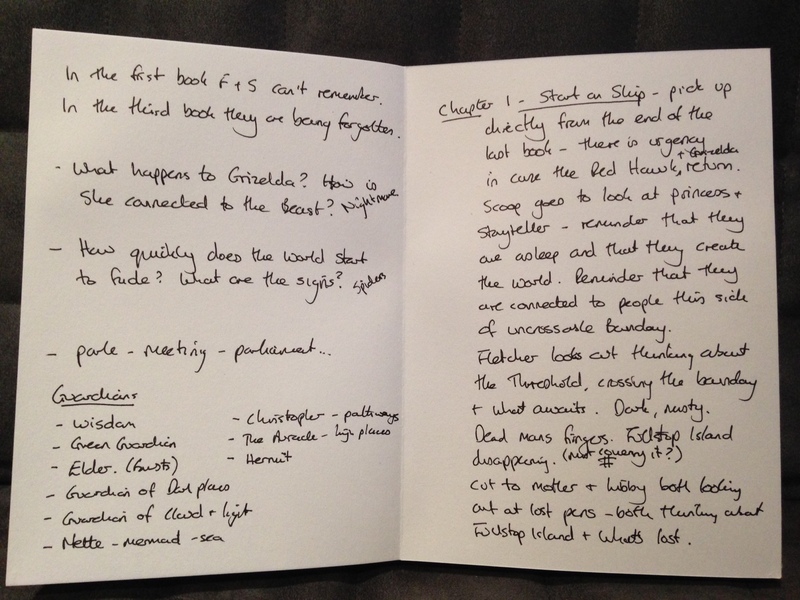 One great way might be to write down all of the possible plot points on separate pieces of paper and spread them out. This way you can play with the structure and order of events. Write just a couple of pages, and this will bring up more questions for you to answer. The process repeats until you have a full story plotted out and ready to pad out with details! I’ve written stories that jump between different plots or different worlds (not necessarily times). Sometimes it’s worth reading a specific element or plot as a whole, even if you’re going to cut it up and intersperse it with other elements in the final telling. Other than that, I think it’s just about making good notes. When I’m plotting I might have the timelines of the different plots next to each other so I can see how they fit together, but still write separate plot lines for each element so that I can follow each one through and see how it works. So, I think planning is particularly important with that sort of story. As I said before, you then need to be willing to go back and re-plan at various points later in the process. 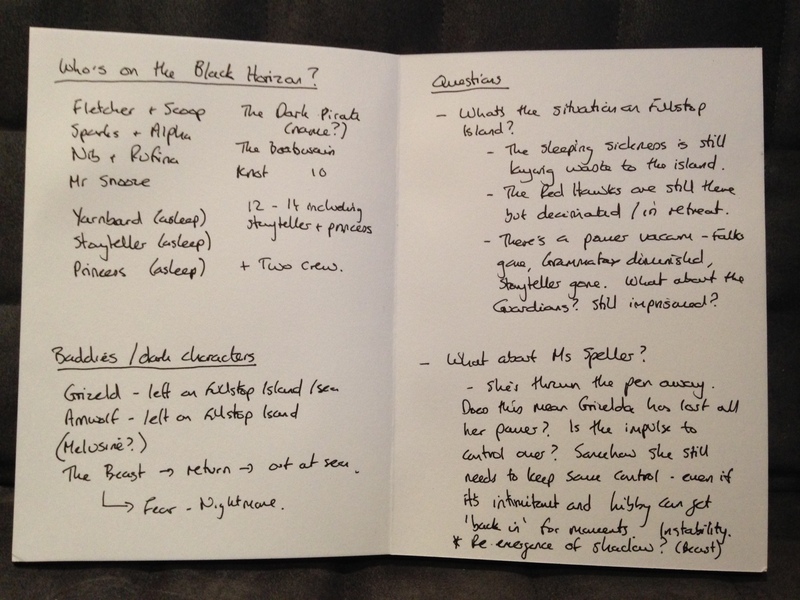 Below are a few images of pages in my own notebook that I use to plan The Firebird Chronicles. Click the thumbnails to see the full size images. In terms of word counts and targets, I tend to write until the story is finished. I think stories find their own length, depending on what’s needed to tell the story. Having said that, I do tend to try and keep chapters fairly short as I know that I like places to pause when I’m reading. So I have cut some chapters in two if they’ve been too long. I think it’s better to find ways of structuring the story well rather than compromising length in terms of how it’s told as a whole. Obviously, with some stories (for instance if you’re entering them into a competition) there might be a word limit to stick to, so watch out for that. Also, don’t use what I’ve said as an excuse to allow a story to be ‘flabby’ – try and edit it well, which often means cutting from the original draft to make sure the story is moving. But if it’s paced well, let it find its natural length. Do I write every single day? The simple answer is no, in contrast to conventional wisdom, I don’t. I think everyone needs to find a rhythm or pattern of writing that works for them. I tend to write in chunks, scheduling a day or a number of days to focus on writing. On those days, I try to forget everything else – emails and admin can wait. For me, writing is seasonal. There are times when I’m focused on marketing, workshops, school visits or theatre productions when I step back from writing for a while, and other times when I clear my diary (as much as is possible) and let writing take centre stage. It’s quite fun trying to work out what season I’m in and learning to work in the flow of that time. Often, if I’m stuck, it’s because I’m trying to do the wrong thing at the wrong time. I hope this shows you that not every author follows the same rhythm when writing a novel. Don’t be scared to experiment with your writing process and your methods of plotting. If you’re unsure where to start, try various ways of organising your time and your writing and pretty soon you’ll find what works for you! How do you work when writing? Do you use a different process when writing or is yours similar to mine? Let me know!